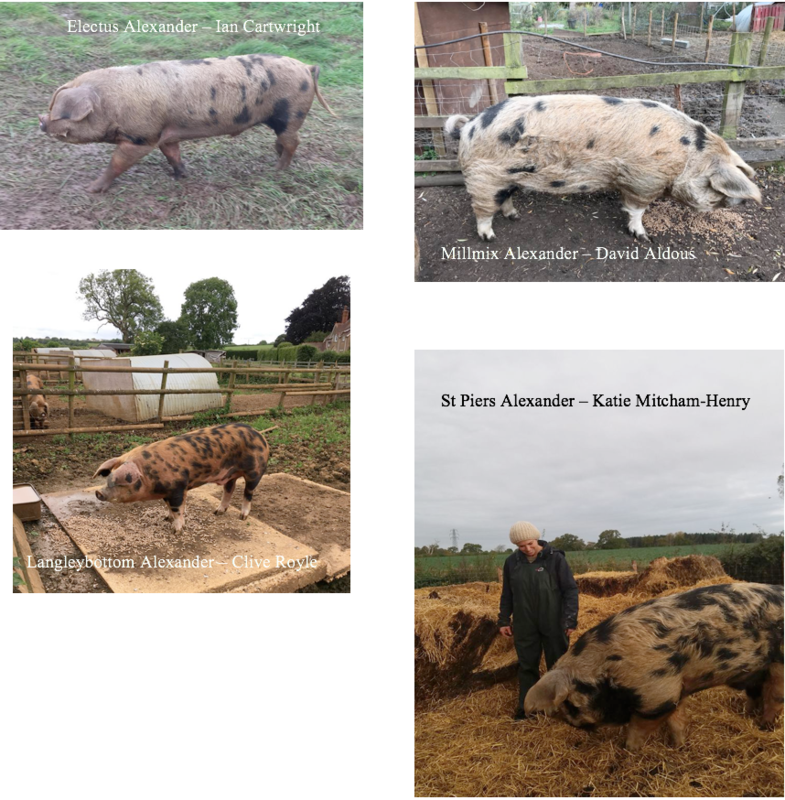 The original Alexander came from the pigs which came to Mr Sheppy’s Farm, Cobthorn from Derek Dunstan in 1982. Cobthorn Alexander was the first and his Great Grandson – Cobthorn Alexander’s Colonel 5FS was widely used in the 1980’s and is the origin of the later Alexander Boars. Mr Sheppy told us how he was picked up from one farm to service sows up and down the country until one farmer decided to weigh Colonel as he was a big boy. Mr Sheppy was told that Colonel weighed 728lbs! Mr Sheppy talked about Colonel with such fondness reiterating how gentle and wonderful he was and how he sired some wonderful progeny. Colonel was out of a Chasewood sow.